Hans Peter Langes was born in Datteln, Germany on 3 May 1925. Following the Second World War Langes attended the Essen School of Architecture, from which he graduated in 1951. That year Langes emigrated to Canada, taking up residence in in Winnipeg. His first position in his new home was with the firm of Green Blankstein Russell and Associates, where he worked from 1951 to 1963. 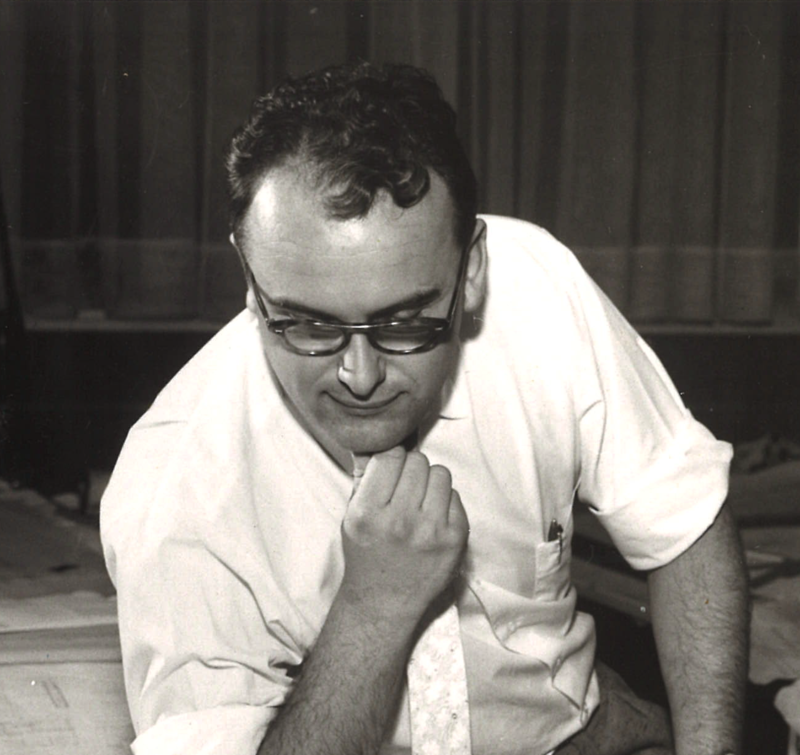 He registered with the Manitoba Association of Architects (MAA) in 1955, retiring in 1989. Among the projects Langes worked on while at the firm was the design of Polo Park Shopping Centre (1958-59) where he worked closely with a group of artists commissioned to complete public art works in the mall. 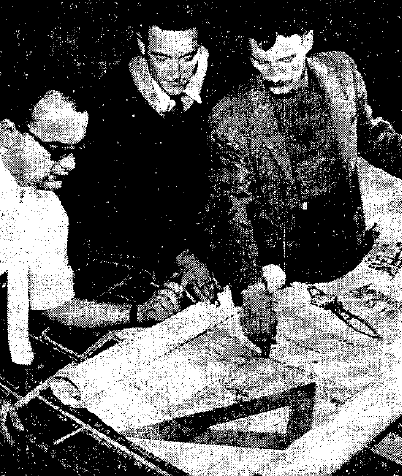 In 1964, Langes founded his own firm, with offices in the Childs Building in Winnipeg. In 1979 this firm moved to Headingly, Manitoba. Langes served on Council of MAA. Among the projects Langes worked on are apartment blocks Westwood House (3200 Portage Avenue) and Imperial Place (246 Rosyln Road). He was also responsible for many schools throughout Manitoba, the offices of the Rural Municipality of St. Clements and the CNR Training Centre in Gimli. A eccentric and notable addition to Langes’ body of work is his design of the Witch’s Hut in Winnipeg’s Kildonan Park, a round shelter of medieval inspiration intended to evoke a world of fairy tale. Langes areceived a Preservation Award from Heritage Winnipeg for his work on restoration of the Winnipeg Law Courts. Beyond extensive community service and an interest in the arts, Langes was an amateur pilot who owned and captained his own Cessna 172 aircraft. “Hans Peter Langes - Obituary.” Winnipeg Free Press, 23 January 2008.